Latinos and Alzheimers Disease Symposium: Understanding Risk, Prevention, and Care Strategies is organized by Massachusetts General Hospital (MGH) Psychiatry Academy and will be held from Apr 26 - 27, 2019 at San Juan Marriott Resort & Stellaris Casino, San Juan, Puerto Rico, United States of America. The target audience for this medical event is Healthcare professionals, Students and trainees in psychology, Social work and related disciplines. Target Audience: This program is intended for: • Healthcare professionals • Students and trainees in psychology • Social work and related disciplines Conference Description: Diagnosis, prevention, and care provided to individuals with Alzheimer's disease are greatly influenced by socioeconomic and cultural factors. Statistics suggest that the incidence of Alzheimer's disease is greater in Latinos compared to Caucasians. This symposium will raise awareness and will provide empirical evidence about best practices for preventing, diagnosing and caring for Latino individuals with Alzheimer's disease. Each presenter, all of whom have dedicated their scientific and clinical careers to studying Alzheimer's disease in Latino populations, will overview the current needs, research findings, and practical knowledge that inform the care of Latino individuals with Alzheimer's disease and their families. It will also provide a platform for the development of collaborations and support among health-care professionals, scientists and trainees. Learning Objectives: At the end of this program, participants will be able to • Describe the impact of cultural, linguistic, and socioeconomic factors in Alzheimer's disease. • Identify risk factors for Alzheimer's disease in older Latinos. • Identify strategies to reduce risk and improve early detection of Alzheimer's disease in Latinos. • Describe strategies to provide care and support for Latino older adults and their caregivers. Additional details will be posted as soon as they are available. Occupational/Environmental Medicine in Primary Care Co-Provided with School of Medicine, SUNY at Stony Brook is organized by Continuing Education, Inc and will be held from May 19 - 26, 2019 at Royal Caribbean's Freedom of the Seas, San Juan, Puerto Rico, United States of America. The target audience for this medical event is Physicians, Nurses, Nurse Practitioners, Physician Assistants. This CME Conference has been approved for a maximum of 14.00 AMA PRA Category 1 Credits. Program Purpose / Objectives: This seminar is designed to provide the participant with an understanding of the role and value of screening in primary care and the importance of preventive therapy and risk reduction for adults. The course will also provide an overview of common diagnostic and management problems in adult primary care. Upon completion, participants should be able to identify who benefits from cardiovascular screening, and from primary and secondary prevention of heart disease; assess which cancer screens apply to all adults, and which to selected populations; discuss new tools that may become available to screen for risk of cancer; counsel patients to modify their behavior and activity to reduce the risk of illness and disability and describe specific preventive and screening methods for common conditions and syndromes. This seminar will be relevant to primary care practitioners of adult medicine. Conference Sessions generally take place on days at sea (as itinerary allows), giving you plenty of time to enjoy your meals, evenings and ports of call with your companion, family and friends. Additional details will be posted as soon as they are available. Endocrinology: An Update and Refresher for PCPs Co-Provided with School of Medicine, SUNY at Stony Brook 2019 is organized by Continuing Education, Inc and will be held from Jul 14 - 21, 2019 at 7-Night Southern Caribbean Cruise, San Juan, Puerto Rico, United States of America. The target audience for this medical event is family physicians, general internists, endocrinologists and others who manage patients with endocrinological disorders. This CME Conference has been approved for a maximum of 14.00 AMA PRA Category 1 Credits. Program Purpose / Objectives : Objectives : This seminar will provide a working knowledge of common endocrinological problems. The course will reinforce physiology, pathophysiology, clinical manifestations, diagnosis, and management of most major endocrine disorders. The current treatment for these disorders will be developed in sufficient detail to permit independent management or active participation in care with the endocrinologist. Emphasis will be placed on clinical diagnosis and practical treatment with attention to evidence-based medicine. Upon completion, participants should be able to recognize the signs and symptoms of most endocrinopathies; educate their patients regarding the basic concepts and natural history of these diseases and participate with their patients and consulting endocrinologists in decisions regarding modern disease therapy and prevention. Topics : • Diabetes mellitus in the 21st Century I: • Diagnosis & management Guidelines • Diabetes Mellitus in the 21st Century II: • Insulin Pumps and Glucose Monitors • Inpatient Diabetes • Hypothyroidism • Dyslipidemia • Obesity and Insulin Resistance Syndromes • Osteoporosis • Hyperparathyroidism • Adrenal Mass • Thyroid Nodules • Thyroid Cancer Additional details will be posted as soon as they are available. Puerto Rico Meeting on Hepatitis and HIV is organized by Virology Education B.V. (VE) and will be held from Aug 23 - 24, 2019 at San Juan, Puerto Rico, United States of America. Our key aim in establishing this meeting is to bring together practicing physicians and healthcare providers who treat on a day to day basis both infections in order to improve quality in clinical practice as well as in care to patients’ lives. As part of our overarching goal, we are trying to encompass HIV/HCV awareness among HIV practitioners, Infectious Disease physicians and Gastroenterologists (Hepatologists) as an important comorbidity in view of such a high prevalence in our local epidemic and stringent resources setting. The core program has been developed to provide state of the art information on HIV and Viral Hepatitis, to discuss regional issues and challenges, focusing on public health implications with a framework of sound clinical and basic science agenda. Additional details will be posted as soon as they are available. Diabetes, Lipidology, Pulmonary Medicine, and Critical Care Conference is organized by Continuing Education, Inc and will be held from Aug 25 - Sep 01, 2019 at MS Freedom of the Seas, San Juan, Puerto Rico, United States of America. Target Audience : Physicians, Physician Assistants, Pharmacists, Nurses, Nurse Practitioners Accreditation : 14 AMA PRA Category 1 Credit(s)TM 14 (part II) MOC points in medical knowledge in the American Board of Internal Medicine's (ABIM) Maintenance of Certification (MOC) program 14.0 Contact Hours Additional details will be posted as soon as they are available. Maximizing Clinical Success in your Dental Practice: Fundamental Technologies & Proven Strategies is organized by Continuing Education, Inc and will be held from Oct 26 - Nov 02, 2019 at Celebrity Summit, San Juan, Puerto Rico, United States of America. 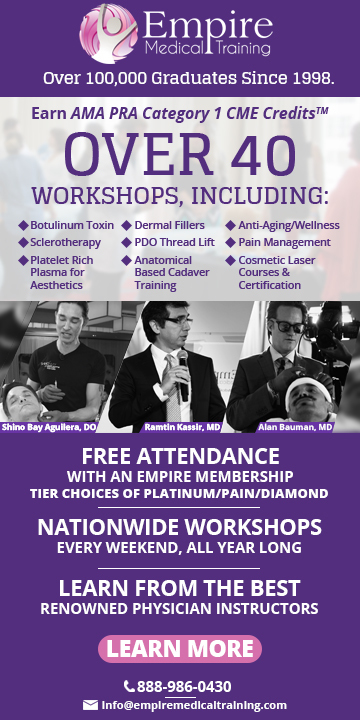 The target audience for this medical event is Dentists, Dental Staff. This CME Conference has been approved for a maximum of 14 CE Credits. Course Topics : • Records and Communication. • Informed Consent Essentials. • Treatment Sequencing. • Treatment Delivery: Prosthodontic and Endodontic. • Implant Overview. • Fundamental Technologies. • Social Responsibility. • Production Boosting Pearls. The following will be presented and demonstrated in an interactive format: • Records and Communication. ○ Essentials. ○ Traditional vs virtual. • Informed Consent. ○ Essentials. ○ Applications. • Treatment Sequencing. ○ Essential vs Elective. • Treatment Delivery. ○ Prosthodontic impressions. ○ CAD/CAM digital dentures. ○ Endodontic insights. • Implants. ○ Decision making considerations. ○ Prevention and management of complications. • Technologies. ○ Clinical photography ○ Tablet technology. ○ Intra-oral scanners. ○ STL files. ○ CAD/CAM. ○ 3D printers. ○ Osstell ISQ. • Social Responsibility. • Organizations. • Social media. • Online groups. • Outreach. • Production Boosting Pearls. Additional details will be posted as soon as they are available. Preventive Medicine and Preventive Cardiology Conference is organized by Continuing Education, Inc and will be held from Oct 26 - Nov 02, 2019 at Celebrity Summit, San Juan, Puerto Rico, United States of America. The target audience for this medical event is Physicians, Nurses, Nurse Practitioners, Physician Assistants. This CME Conference has been approved for a maximum of 14 AMA PRA Category 1 Credits. Additional details will be posted as soon as they are available. Palliative Medicine and End of Life Care, Including Related Topics in Neurology is organized by Continuing Education, Inc and will be held from Dec 14 - 21, 2019 at Celebrity Summit, San Juan, Puerto Rico, United States of America. Target Audience: Physicians, Physician Assistants, Pharmacists, Nurses, Nurse Practitioners Accreditation: 14 AMA PRA Category 1 Credit(s)TM 14 (part II) MOC points in medical knowledge in the American Board of Internal Medicine's (ABIM) Maintenance of Certification (MOC) program Up to 14 MOC (Part II) points in the American Board of Anesthesiology® (ABA) Maintenance of Certification (MOC) program 14 Contact Hours 3½ Hours of Pharmacology for NPs Topics: • Palliative Care Overview: History, Range of focus and Relation to Hospice Care ○ To discover the roots of palliative medicine, its impact on traditional practice models and the relation/definition between palliative and hospice care • Advanced Care Directives ○ To define the history/legalities of advanced care directives. ○ To differentiate the various formats and techniques to advance end of life discussions. ○ To examine the controversies in ACD such as surgical thirty day rules. 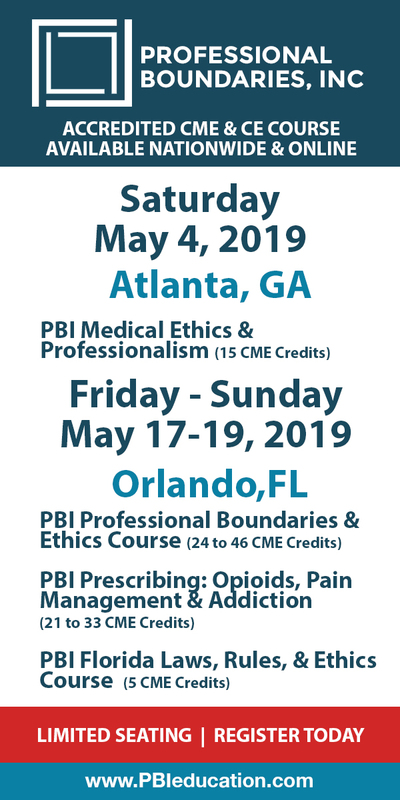 • Pain Management and Palliative Care: Pharmaceutical review and a Review of the Issues of the Opioid Crisis ○ To illustrate treatment options for critical and end of life medical conditions. ○ To examine the roots and solutions of the opioid crisis particularly as related to palliative and hospice care. • COPD, CHF and ESRD in Palliative Care ○ To utilize palliative medicine skills in the planning/treatment of these common chronic conditions. • Patient Driven Voluntary Cessation of Hydration and Nutrition ○ To identify the phenomena of patient's elective decision in non acutely mortal situations to terminate their lives through active decision. ○ To examine the practitioners role/obligations in such a situation • End of Life Symptomology and Management ○ To summarize the common EOL symptoms. ○ To demonstrate pharmaceutical and behavioral management of these conditions. • Reimbursement and Coverage Strategies ○ To examine the CMS rules of remuneration for non palliative/hospice providers in palliative/hospice patients • Mental State - delirium, MCI and dementia • Can the Patient Hear Me? - awareness, unresponsiveness and coma • Stroke - follow-up and prognosis • Gap Analysis - quality approach to practice improvement • Multiple Sclerosis and Parkinson's in Palliative Care • Brain Death - what is it and diagnosis • The Plan for Monday - changes for ease of practice and improvement in care. Pediatric & Adolescent Medicine for Primary Care: Derm/Gastro/Neuro/Rheum is organized by Medical Education Resources (MER) and will be held from Apr 16 - 19, 2020 at The Ritz-Carlton, San Juan, San Juan, Puerto Rico, United States of America. This CME Conference has been approved for a maximum of 16 Credit Hours. Additional details will be posted as soon as they are available.